You may think that Pagans all worship the God and Goddess, but then while you're reading, see mentions of different gods and goddesses from a bunch of different belief systems. So which god or goddess do Pagans really worship? That is the million-dollar question. And here’s why: because Pagans are as varied as any other diverse collection of people you might put under a single label. Let’s back up a bit. First of all, understand that "Pagan" is not a religion in and of itself. The word is used as an umbrella term that covers a wide variety of belief systems, most of which are nature- or earth-based, and often polytheistic. 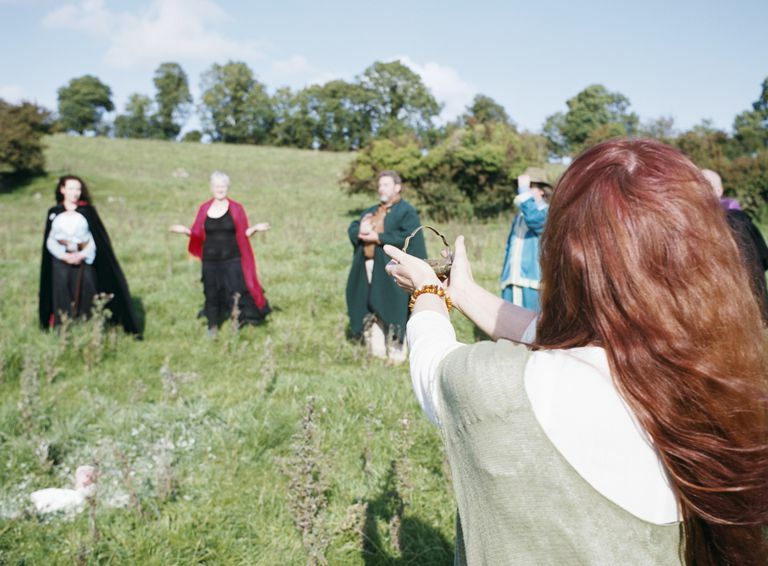 A person who identifies as Pagan might be a Druid, a Wiccan, a Heathen, an eclectic witch with no particular cultural leanings whatsoever, a member of Religio Romana—you get the picture. To complicate matters further, there’s the question of hard polytheism versus soft polytheism. Some people—the soft polytheists—will argue that while there are many gods and goddesses, they are all simply different faces of the same being. Others, those who consider themselves hard polytheists, will tell you that each god and goddess is an individual entity, not to be lumped in with a bunch of other deities. Someone who is a Wiccan might tell you they honor the Goddess and the God—these may be two nameless deities, or they might be specific ones. A Celtic Pagan may pay tribute to Brighid and Lugh—or to Cernunnos and the Morrigan. They might even worship just one primary deity—or ten. A Roman Pagan might have a shrine to his household gods, the lares, as well as to the gods of the land around him, and one to another deity at his place of business. In other words, the answer depends on who you ask. Every Pagan—just like every non-Pagan person—is an individual, and their needs and beliefs are as varied as they are. If you have questions about which god or goddess an individual Pagan worships, your best way to get a straight answer is to simply ask them.